Vegetable-tanned leather with rivets riveted, available in black or brown. 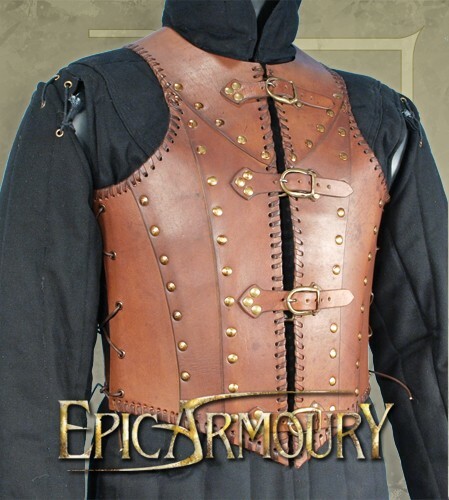 A fantastic look for the classic neo Victorian gentleperson that wishes to prevent scallywags from running them through with jabby whatnots. 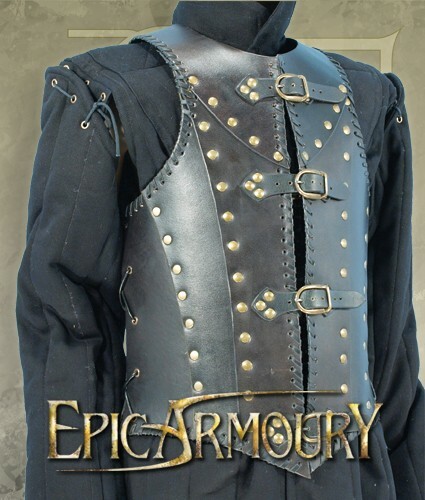 Related links to "Soldier armour"
Customer evaluation for "Soldier armour"